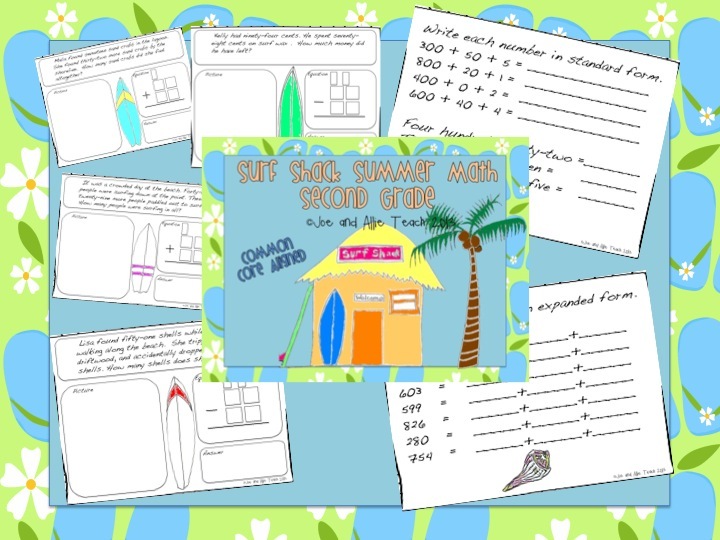 We just added another summer math product! 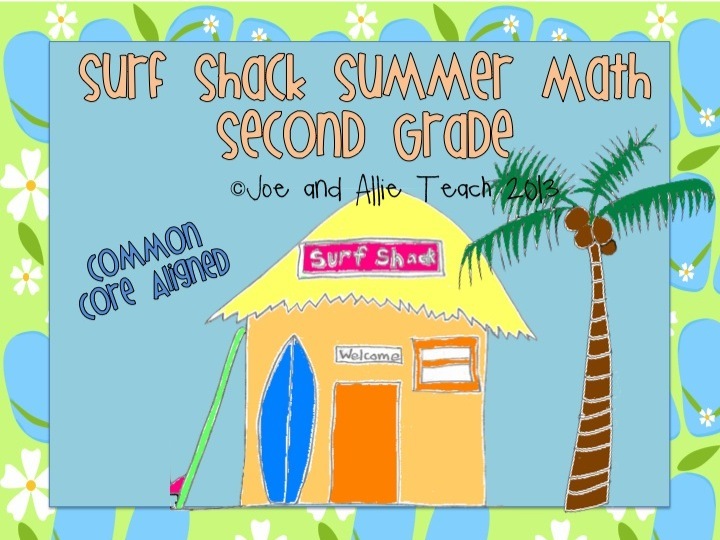 Surf Shack Summer Math: Second Grade is our new common core aligned way to help students practice math this summer! 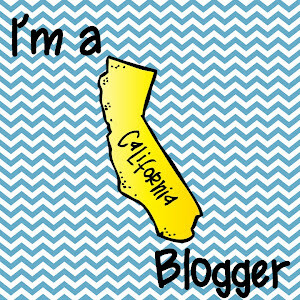 It focuses on 8 different second grade CCSS math standards. 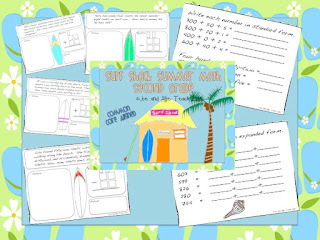 This product has a similar feel to our original Surf Shack Summer Math for first grade. 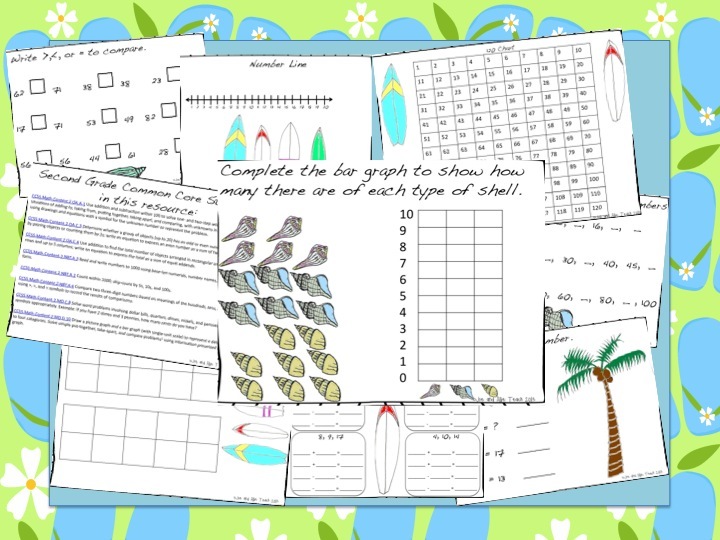 However, the concepts are more challenging, and include regrouping, expanded form, graphing, comparing, word problems, and more. 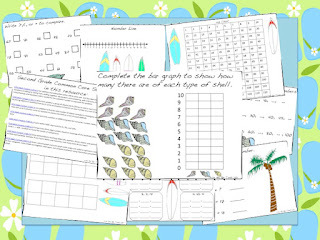 There are also math tools, such as number lines, tens frames and 120 charts. It also has original beach art that kids love. 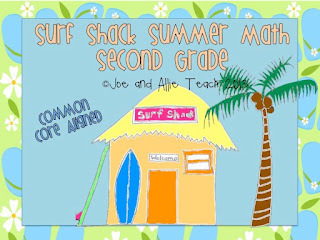 Come ride the math wave at the surf shack!